Over six (6) million American adults ride bicycles on a regular basis as either a mode of transportation or a recreational activity. As cycling continues to grow in popularity for young adults, the infrastructure of our roads has begun to reflect that reality. Unfortunately, infrastructure rarely changes as rapidly as public demand. Additionally, not all drivers or cyclists follow New Jersey laws which are put in place to protect riders. This can lead to a dangerous situation for bicycle riders who are often sharing the road with cars, trucks, motorcycles, and other motor vehicles. The personal injury legal team of The Law Offices of Michael P. Burakoff have extensive experience serving injured cyclists across Sussex County and Morris County towns including Newton, Morristown, Parsipanny, Rockaway, East Hanover, Mt. Olive and all of Northern New Jersey. Our firm believes in working closely not only with our clients but also their families throughout the legal process. This unique approach allows our personal injury attorney to provide white glove legal solutions that address your individual needs and concerns. For a free and confidential consultation regarding your bicycle accident and your potential for financial compensation through a personal injury claim, please call our Newton office or our Morristown office today. 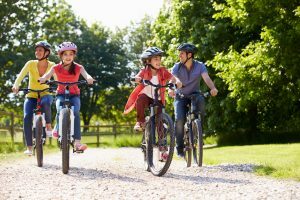 What are Common Causes of Bicycle Accidents in Morris County? Finding fault with a motor vehicle operator – in the majority of bicycle accidents leading to serious injury, a motor vehicle is involved. In these cases, it may be possible to show that the motor vehicle operator acted with negligence or recklessness, causing your bicycle accident. Premises liability claims – New Jersey property owners and managers are legally obligated to provide safe and secure conditions for guests. This extends to roadways and public locations. When unsafe conditions lead to bicycle accidents, that may lead to a premises liability case. Comparative negligence – even if a cyclist is partially responsible for his or her accident, they still might be eligible for compensation. This is due to comparative negligence laws, which state that fault is assigned on a sliding scale. Bicycle riders are not afforded the same safety measures as motor vehicle operators. Bicycle accidents therefore have a high chance of involving serious injuries including brain injuries, spinal cord injuries, broken bones, and even wrongful death. When cyclists are injured due to the recklessness or negligence of another party, our Florham Park bicycle personal injury attorney will fight to recover the financial compensation to which victims and their families are entitled. 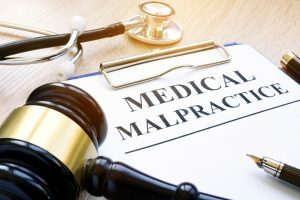 Within a successful personal injury verdict or settlement, victims may recover financial compensation to cover doctor’s bills, hospital bills, costs for rehabilitation, lost wages, pain and suffering, loss of consortium, loss of companionship, and much more. While no one plans on getting injured, you can at least rest assured that your financial future will be protected. 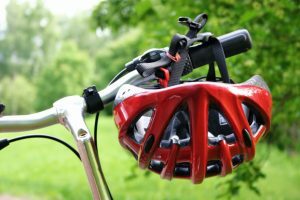 Bicycle accident personal injury attorney Michael P. Burakoff takes pride in serving local Morris County and Sussex County communities such as Netcong, Hopatcong, Denville, Dover, East Hanover, Chatham, Newton, and across Northern New Jersey. Attorney Burakoff has been successfully recovering full and fair compensation for those injured in bicycle accidents since 1972. 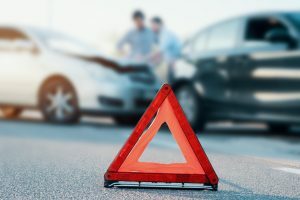 If you or a loved one has been injured on New Jersey roads, lean on our experience and legal knowledge to secure a verdict or settlement as we have done for innumerable clients over the past four plus decades. For a free and confidential consultation with Attorney Burakoff regarding your bicycle accident, your injuries, and your potential for a personal injury claim, please contact us online or call our Morristown of Newton offices by dialing (973) 520-0525 today.